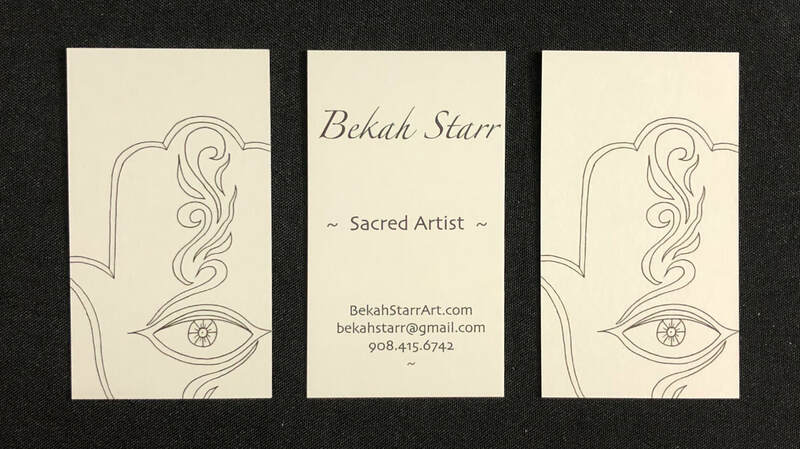 I am a Sacred Artist exploring connections between the Divine Feminine, and the mystical wisdom of the Hebrew people. My work exists as a witness to the Sacred. I study with the Kohenet Hebrew Priestess Institute (Kohenet.com) and Devotaj Sacred Arts Academy(patreon.com/devotaj_arts). My work has been exhibited and presented in New York City, Philadelphia, Toronto, and various venues on the East Coast. I work primarily in painting, drawing, & participatory community instillations. Bekah is a weaver of communities, a songstress and ritualist creating magical mystical empowerment opportunities for womxn. She lives, with her family, in the beautiful Hudson Valley of New York. You can find me on IG @BekahStarrArt and purchase my art on Etsy. Altar Coloring Cards/Illustrations offer moments of meditation on pathways to connect with different aspects of the divine. They can be colored in meditation or contemplated simply. 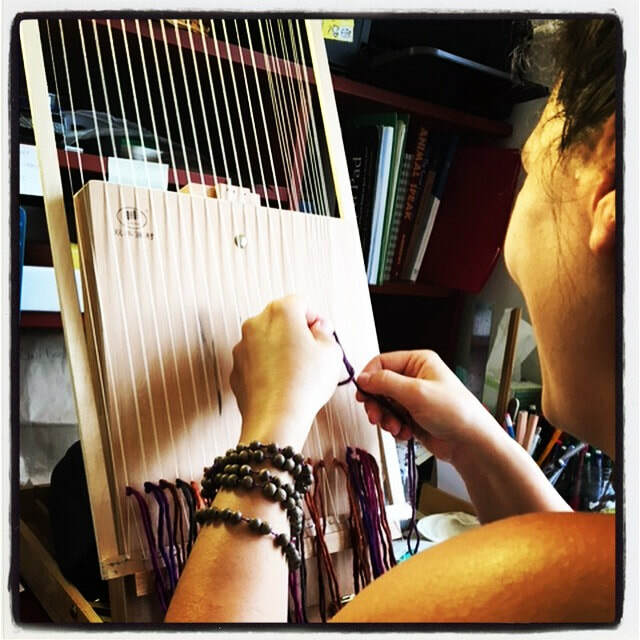 Sacred Weaving Wall Hangings bless a space with attributes of what we seek to find within ourselves; peace, strength, compassion. Each weaving has a theme woven into it. The Divine Form is the beauty of the Goddess's creation. We are perfect and imperfect, walking miracles. I'm in awe of our miraculousness and aim to capture that in charcoal. Gratitude to Rav Kohanot & Rabbi Jill Hammer, Rav Kohanot Taya Shere, Kohenet Ketzirah Lesser and the Kohenet community for your deep listening and inspiration.